It’s been a few months since I put together an inspiration board, so I thought it was time. My jumping off point for this inspiration board is free printable lavender botanical art that I posted a few months ago. I thought it’d be fun to do a purple room centered around this botanical art. 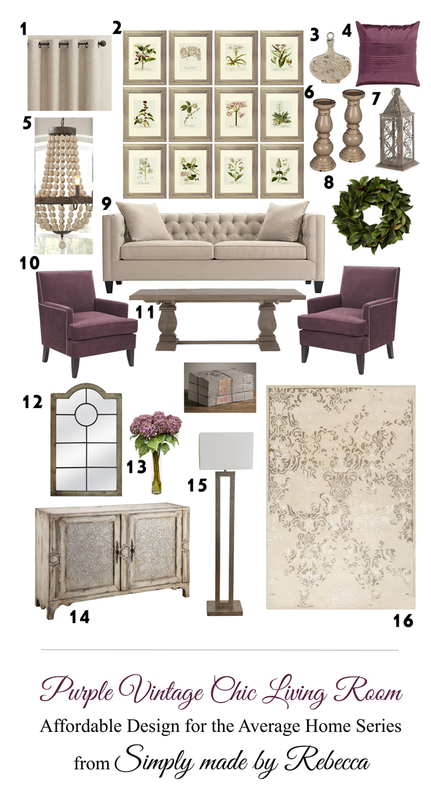 My goal with these inspiration boards is to try and find more affordable furniture to help you put together a room without having to break the bank to decorate it. Furniture is expensive, and to get high quality solid wood furniture you may need to pay a higher price tag. But, I know that there are a lot of us out there who want style in our home, but are not able to pay thousands for a piece of furniture. I’ve tried to help you find some stylish pieces that have a lower price tag. Click on the picture or link below to open the free printable lavender botanical art and the frames used. I just wanted to throw this little tidbit in there. 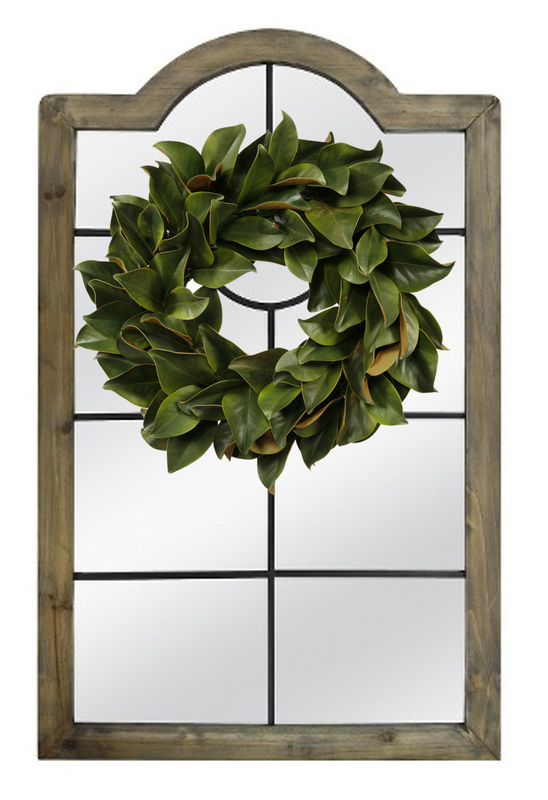 If you like the magnolia wreath, but you’re not sure where you’d put it. Consider hanging it over the paned mirror. It adds a beautiful touch of green to a room. Hopefully I’ve helped some of you add some vintage chic to your home! Thanks for looking!